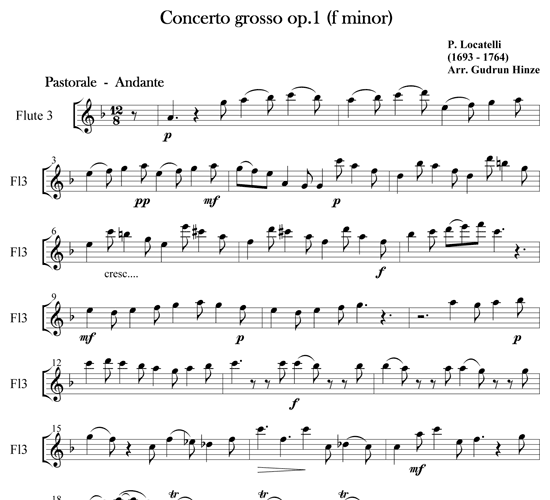 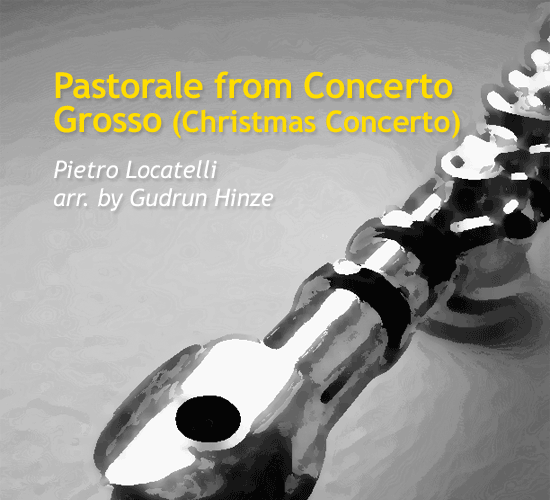 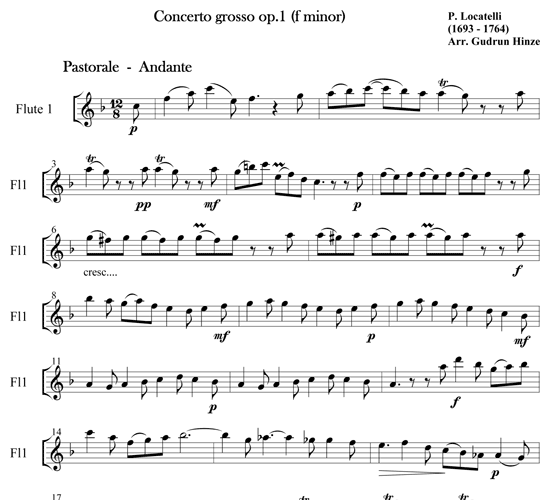 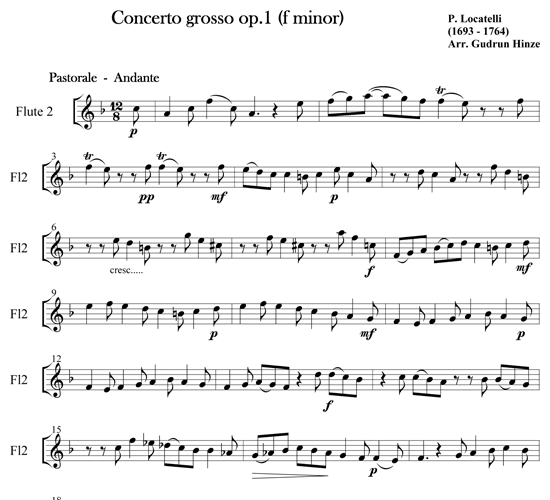 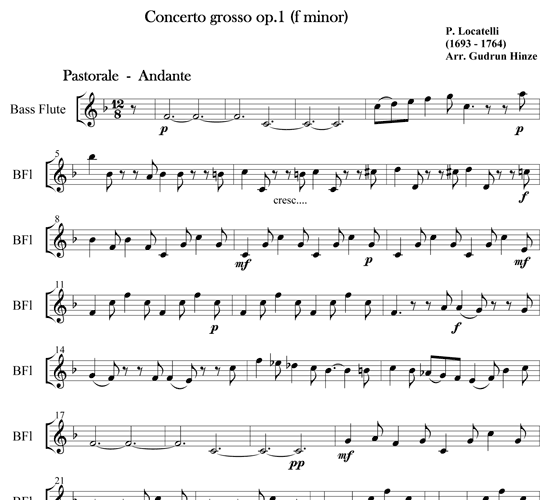 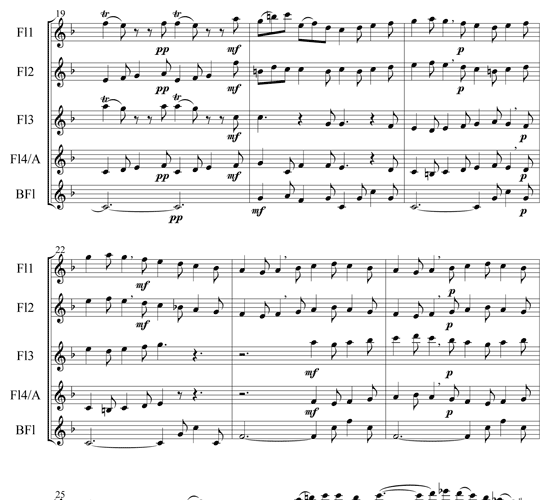 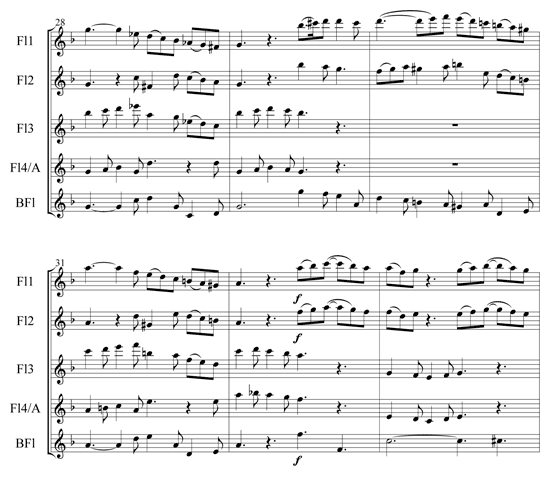 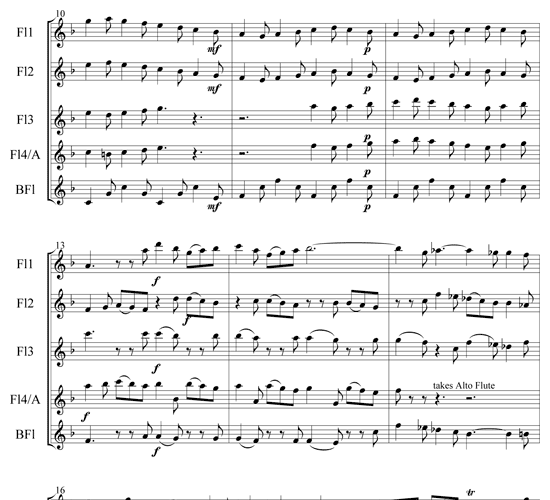 This beautiful soothing Pastorale is the last movement from Locatelli's Christmas Concerto. 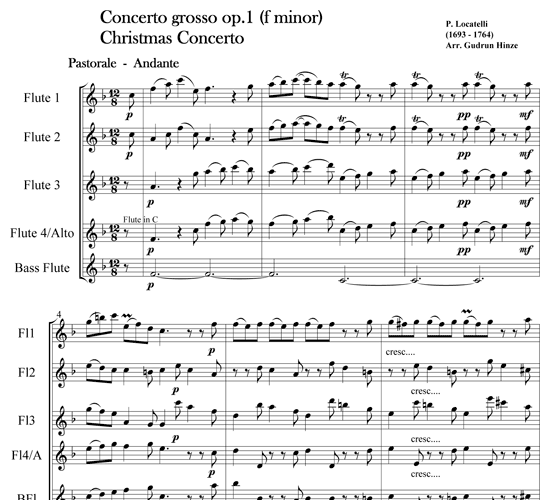 Ending almost in complete silence, the music creates the breath-taking atmosphere of the wonders of the Holy Night perfectly. 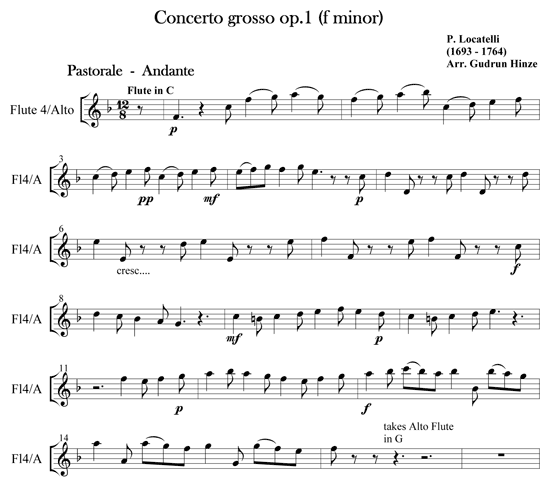 It works very well with a flute quintet, but an additional bass part, played by a contrabass flute, string bass, cello, or bassoon, will strength the festive character of the sound.